Despite its tough looks and proofing, the FZ-G1 features some surprisingly outdated hardware for a 2018 device. The price also seems "extremely" suitable for this device ready to take on harsh conditions. 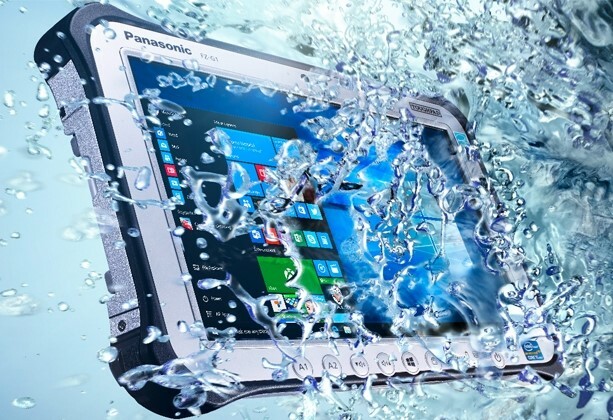 It seems Panasonic’s rugged device business is still bringing profits these days, as the company keeps releasing new notebook and tablet models every year. For 2018, Panasonic has come up with something special: its first tablet to get ATEX Zone 2 certification for potentially explosive environments. 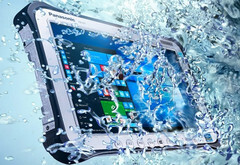 The Toughpad FZ-G1 raises the standard for outdoor gear that can be used in dangerous scenarios. Apart from the ATEX certification, Panasonic included the usual MIL-STD 810G and IP65 military-grade compliances. With all the advanced durability features, Panasonic somehow forgot to update the specs, as the FZ-G1 is powered by a three-year old Intel i5-6300U ULV CPU. There is no info about the RAM capacity, but the 10.1-inch display comes with a 1080p display that is capable of 800 cd/ m² peak brightness. The connectivity features seem quite outdated, as well: USB 2.0 ports, LAN jack and micro SD reader. The battery is supposed to last for 14 hours, and the whole device (including the protective leather case) weighs in at about 3.14 lbs. Even if the specs are not that great, all the certificates push the total cost of this tablet to around US$3,770. Orders for the FZ-G1 will begin some time in February.